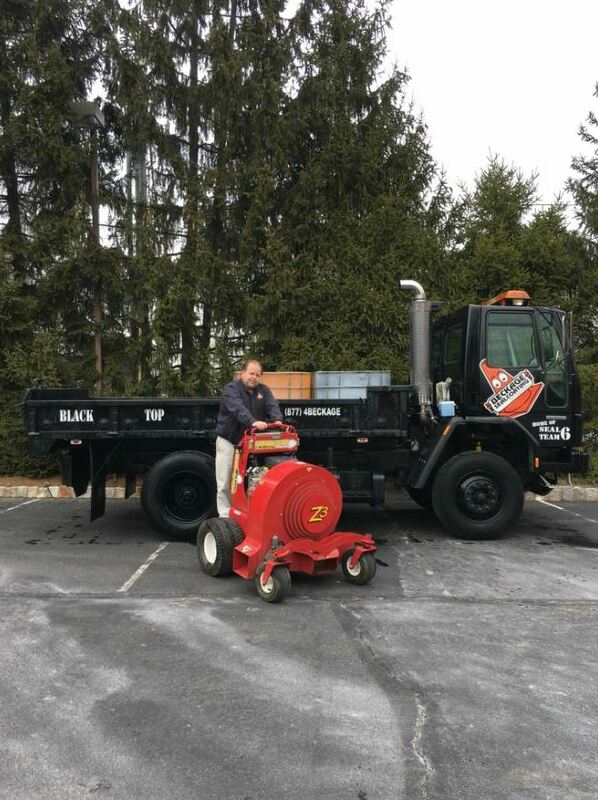 When Beckage Sealcoating, Pittstown, New Jersey, went up for sale in 2013, Alex Patullo jumped at the chance to grow his business. Beckage Sealcoating had sealed Patullo’s driveway in 2009 and he was really impressed by their work. In 2013, it was clear to Alex that buying Beckage was an opportunity to break into sealcoating after more than 30 years of experience in lawn care and construction. Today, the 18-person operation has four crews servicing central New Jersey. To perform work the “A. Patullo way,” Patullo said he needed to invest heavily in quality equipment, mentioning KM International, Falcon and Hurricane Power by name. In fact, Patullo estimates that he’s invested the same or even more money in his prep equipment as he has in the rest of his equipment. But to leave behind a quality job—which is also the “A. Patullo way”—the investment in a properly prepared surface is essential. Beckage Sealcoating’s crews use the blowers three times during the project: before and after scrubbing the surface and after applying the sealcoat. Despite this thorough process, Patullo said the stand-on blowers save his crews many man-hours. He compares sealcoating to painting. If you try to paint on dusty, dirty surfaces you will get a poor final product. Similarly, if you try to sealcoat a surface that contains dirt, dust or any type of debris, then you can expect the final product to have a significantly shorter lifespan. Uneducated contractors–and those who may be dishonest–will spray on top of dirt and dust, Patullo said. When this is done, he estimates the surface won’t even last one year. The sealcoating will begin to come up, peel off, and fail. Each summer, Patullo said his crews will be called out to other contractors’ jobs from the previous year that just aren’t holding up the way they should. Although this means more business for Beckage, it means a whole additional freeze/thaw season for pavements in need. The best option is simply to do it right the first time—starting with surface preparation. Patullo starts each sealcoating job by cleaning the surface. 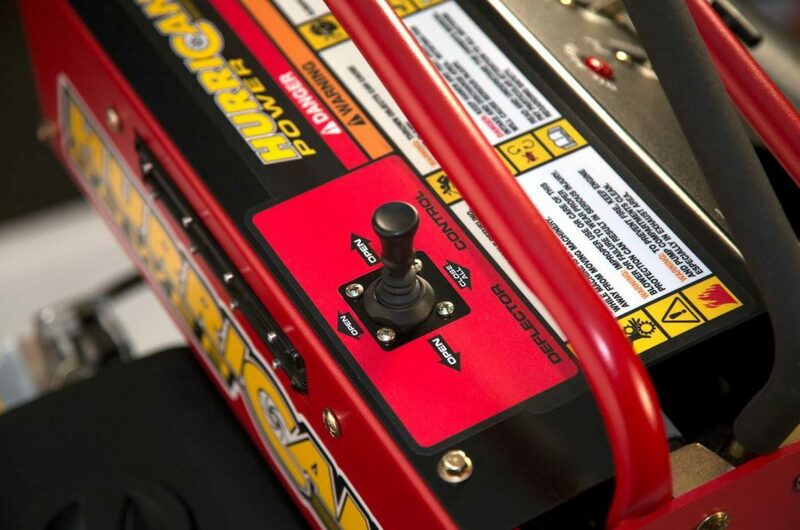 To do so, he uses a Z3 model of Hurricane’s stand-on blower. Although prep work can take a significant amount of time, it must be done right. 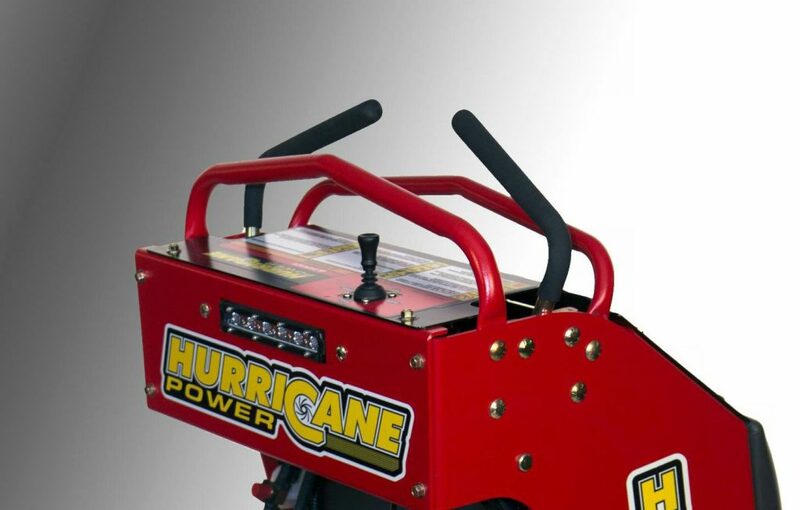 Patullo said using a Hurricane blower saves time compared to wheeled or backpack blowers. 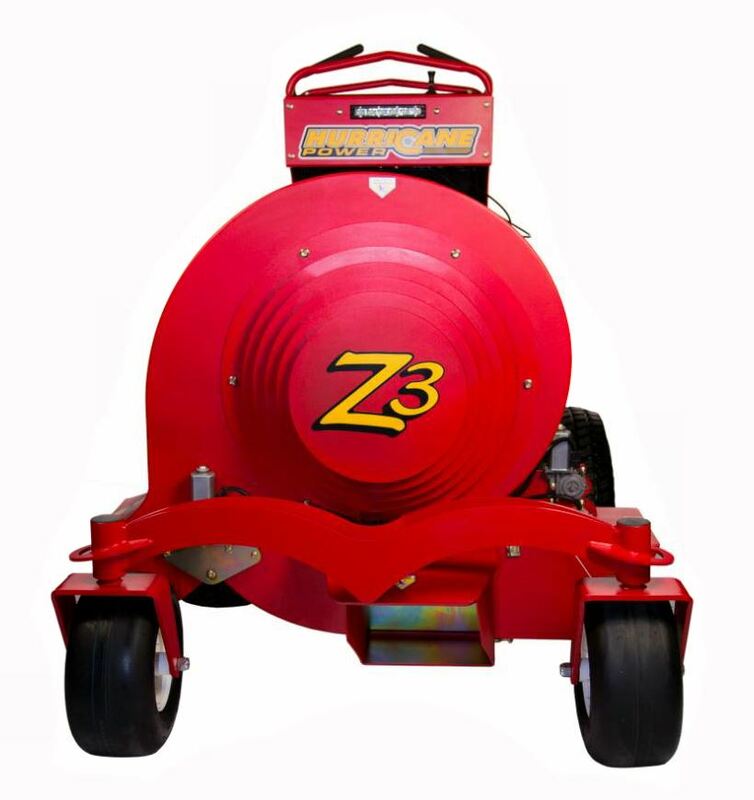 He estimates that the two Z3 stand-on blowers he owns save him the time of two or three workers who might otherwise be using walk-behind blowers on any given job. In fact, Patullo plans to invest in a third Z3 in the near future. There is also a quality difference with a Hurricane blower over other blower types. According to Patullo, the air is directed downwards with such force that the resulting surface is much cleaner. There is also the aspect of air control with a Hurricane. Unlike a walk-behind blower, a Hurricane can be directed in many different directions. Next, Alex and his team will thoroughly scrub the surface. Beckage uses power sweeping machines, as well as hand-held power brooms to accomplish this. The sweeping equipment can get right up to the curb, ensuring the entire surface has been adequately brushed. The goal is to knock any of the loose stuff away before the sealcoat goes down. Once this is done, the Hurricane blowers are brought back out to blow it clean. Then, Beckage crewmembers apply the material. Patullo stresses the importance of applying a flood coat, as well as the use of brushes versus spraying applications. The flood coat is important to push the material out from every direction using brushes, which Patullo believes provides a better application than application by squeegee. Based on Patullo’s research, one well-applied brush coat is equal to two sprayed coats, because spraying offers a much thinner final coat. After brushing on the flood coat, Patullo brushes the entire area at a different angle to ensure even application. After the application has dried, Patullo’s crew brings the Hurricane blowers back out one last time for a final cleaning of the surface. With this thorough prep process in mind, Patullo aims to continue to grow Beckage’s business one quality job at a time.